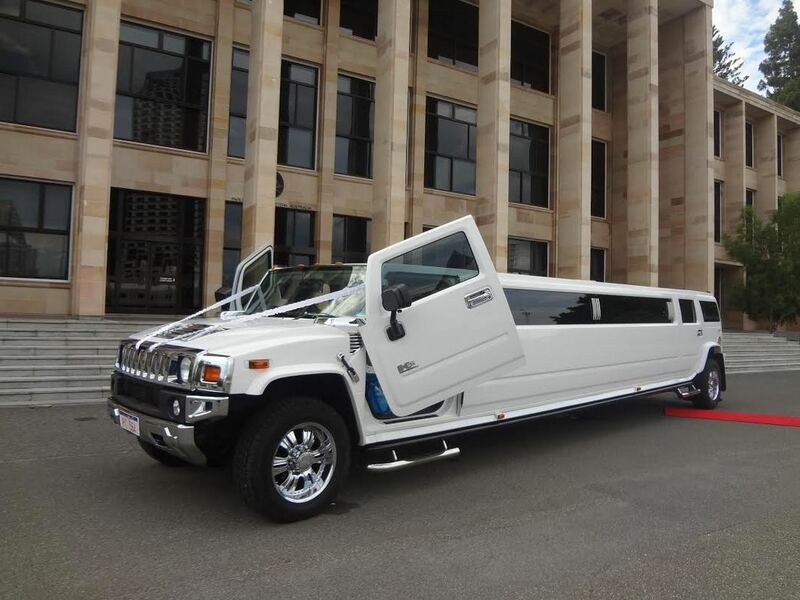 ​If you want to ride in style and impress, there is no better travel experience than hummer hire. These are an excellent choice for any special occasion in the Perth area. Contact us today to show up to an event in one of the most impressive vehicles ever designed. Ride a stretch Hummer and enter any event in style. We can even make sure the party starts before you even get there. Each of our stretch hummers is equipped with some features that make them a sure hit at any party or event. You can relax and sip drinks from our champagne bars. We have LCD screens so you can watch videos or anything else on the road. LED lighting on the ceiling and a neon-lit dance floor are available for folks who want to dance the night away. We also boast a state of the art sound system for the music. Yes, you can choose to plug in your tunes. We also let you access the control system, so you can customise the lights and sounds to your heart’s content. With this, you can set up your personal nightclub on wheels. The interior cabin is designed to hold up to sixteen people. The interiors are covered in leather for maximum comfort. Every stretch hummer in our fleet has a dedicated Jet Door. This makes entry and exit easier and more stylish, guaranteeing an impressive entrance wherever you go. The fleet is well-maintained and always in excellent condition, and each chauffeur is a professional with all the required licenses. We make our service available for all sorts of events. We have been part of weddings, birthday parties, tours, school events, and even the occasional stag or hen party. Go for our hummer hire and make a potentially great night into one of the most memorable you’ll ever have!